Todo muy bien, pero el aire acondicionado no funcionaba. Rented this home for 2 weeks in February 2019. This was an absolutely perfect golf trip for myself and a buddy. 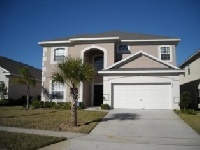 The home was perfect and located close to all the amenities that one would require. Excellent service, everything was as described. Beatifull villas, clean and conditioned. Definetly will come again! Servicio excelente. En la villa reporte el televisor que no funcionaba y fue remplazado rapidamente. Gracias por el buen servicio. Excelente villa, dotada de todo lo necesario para disfrutar de unos días de descanso. Gran capacidad para albergar hasta 11 personas sin problema. Loved the house, it was more then I expected, George was very kind me and my Family where able to enjoy every one bit of our stay. It was spotless clean. He checked in on us to make sure everything was good. It was the best vacation home I&apos;ve ever had in Orlando.